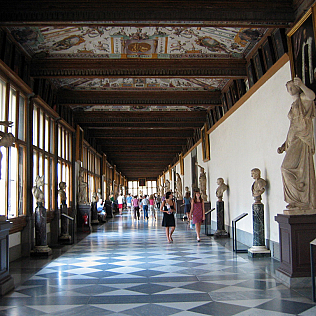 Eike Schmidt is the new director of the Uffizi. He succeeds Antonio Natali, who directed the gallery in the past 9 years. Schmidt said he is delighted at the appointment and reminds the seven years spent in Florence for study. Today, he says, he has a chance pay his debt to the City of Art where he was - since 1994 until 2001 - scholar and researcher at the Deutsches Institut Kunthistorisches. Since 2009 he is the curator and head of the department of sculpture, applied art and textiles at the Minneapolis Institute of Arts, in Minnesota: the Art Historian will therefore have the opportunity to combine the knowledge of Florence with the experience gained in international contexts. The new director arrives at the Uffizi in a period of changes and therefore new challenges, linked to the construction works - still in progress - for the New Uffizi and the unification that will affect the Gallery and the museums of the complex of Pitti Palace (Palatine Gallery, Gallery of Modern Art, Costume Gallery, Boboli Gardens, museums of Silvers, of Porcelain, of the Coachs), linked by the Vasari Corridor.